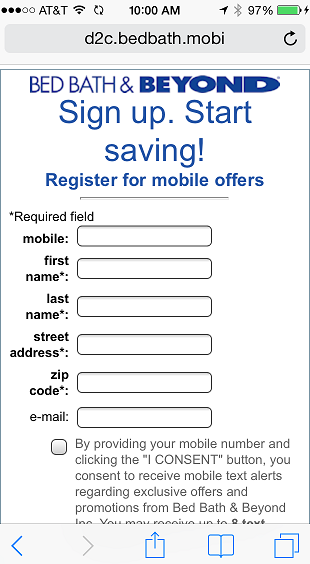 Nobody ever said mobile advertising was easy (okay, technically some jerk probably said it somewhere, but you know what I mean). Design, creation, engagement, landing pages, demographic targeting, geo-targeting, ad placement, publishing, A/B testing, accurate analytics, email and SMS remarketing… You’ve got a lot to juggle in any given campaign, all while trying to coordinate with a wide range of different vendors and software platforms to get your ads out to an even wider range of mobile devices. 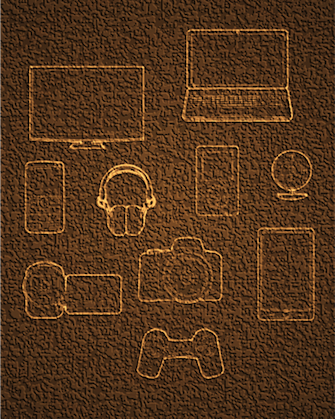 Back in ancient times, if you wanted to buy a camera, a cell phone, a computer, and a video game, you actually had to go out and buy all of those different things. 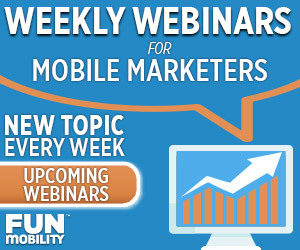 FunMobility offers an all-in-one platform for creating, targeting, launching, and measuring rich media mobile advertising. We’ve taken a complex process—one that has traditionally required multiple vendors and special technical expertise—and brought it all under a single point solution. A major benefit of this streamlined platform is the ease of A/B testing and updating rich media campaigns in real time. In addition, the platform now also includes built-in audience targeting—giving you complete control over the scope and focus of a campaign without having to deal with a third party. Clicking a banner ad transforms it into a fun and interactive experience. I’ve already talked at length about the value of immersive mobile engagement (we even wrote a book on the subject). Put simply, it’s easy to make a banner ad, but it’s hard to make that banner ad matter. You’ve got to use every weapon in your arsenal to target a relevant audience and optimize banner ad design to encourage click-through—but that’s only half the story. When a customer shows enough interest in your brand to click on a mobile ad, you need to reward them for their interest (preferably with an experience that will drive brand value and lead to measurable conversions at point of sale). That’s where FunMobility Mobile Engagement Ad Units come in. 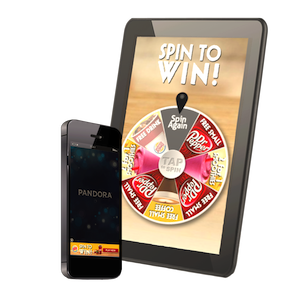 On click-through, these ads deliver fun and interactive experiences in the form of mobile games, coupons, quizzes, surveys, and multi-media promotions (to see them all in action, check out our Interactive Live Demo page). The ads can also provide map directions to nearby stores, and customers can be prompted to opt-in for future offers and promotions via email, phone, or SMS. 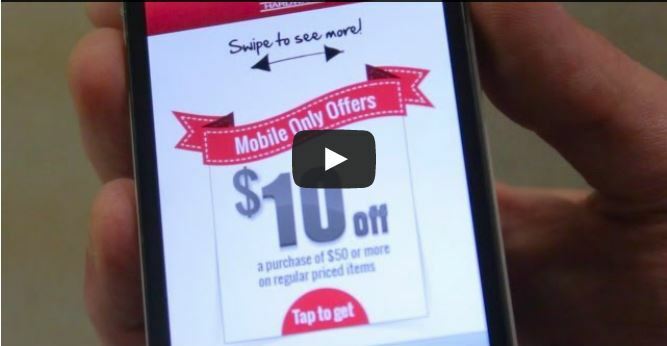 Arguably THE major problem with mobile ads is that, when handled poorly, they’re disruptive. In many cases, customers who do show interest by clicking an ad are re-directed away from the content they’re browsing, and taken to a entirely new page in an entirely new browser window (or worse, asked to share their personal information, aprapos of nothing). In fact, a recent study from the Dartmouth School of Business found that, of the people who do dislike mobile ads, 69% dislike them specifically because clicking on an ad takes them away from the site or app they’re enjoying. FunMobility ad units don’t do this. When a customer clicks on one of our ads, the ad unit itself transforms—creating an engaging experience right then and there. This experience exists as an overlay on top of the content being browsed, so after a customer finishes engaging with the ad, they simply click out of it—and they’re right back where they were. Several campaigns featuring FunMobility Mobile Engagement Ad Units have already been launched, thanks to an alliance with MobileFuse—a premium mobile advertising network maintaining direct partnerships with more than 2000 prestige publishers around the globe. 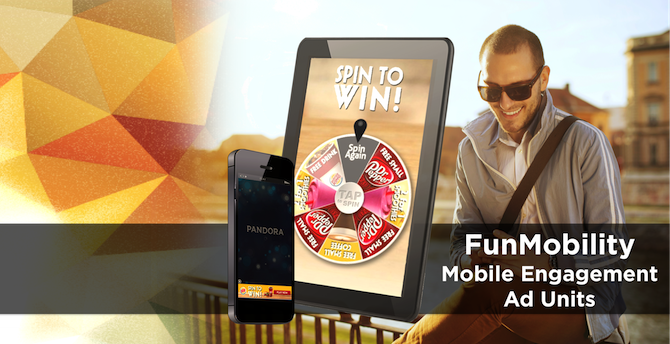 To learn more about creating these engaging mobile ads, visit FunMobility.com.